My n****, you just got powercreeped! Is it just me, or does every video game use the same bear sound file? 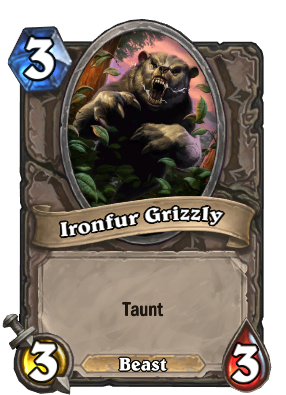 This reminds me of the Grizzly Bear from the Revised Edition of M:TG. That was one of my favourite cards when I discovered the game. In the midst of mythical monsters, goblins, dragons and knights there was always something satisfying in summoning a tree-flattening Grizzly Bear.